Happy Monday morning, everyone! I’m happy to present today’s Morning Coffee conversation. It’s the last of the three reader interviews I promised last month, and most likely the last interview before Morning Coffee takes a long hiatus. It’s been fun, but I have a new series that will be demanding my attention soon. More details on that later in the week! Cindy has been dropping in here and leaving friendly comments for a few years now. Her own website is bursting with tips and tricks for polymer clay beadmaking, and she runs a successful business, selling video tutorials on the subject. Recently when I was needing a refresher about an aspect of transferring photos onto polymer, a Google search brought me straight to Cindy, who had a very clear description of the process. It answered my question (and I few I hadn’t thought to ask). My husband Doug and I started our blog back in February 2008. I was originally a mixed media artist and craft instructor teaching night school classes. Teaching and prepping for over a hundred classes a year in the evenings was getting crazy to balance with a small family. My husband had been working in the investment and television industries and was wanting a change. He suggested I take my teaching to video, which we could produce at home. We worked together, starting with a Beginner’s Course for Making Polymer Clay Beads, progressed to the blog and then ended up developing the library site. How does blogging (reading and writing) fit in to your daily life? What Life? LOL Doug and I pretty much live and breath the blog and the business. Up until recently we blogged every single day. Now we don’t on the weekend, just so we can catch up on the commenting. In fact over the past couple of years we have posted more than 890 posts with over 20,000 comments. I write the posts and Doug takes the photos and does the actual publishing. I read tons of other peoples blog’s (like yours Lisa) every day. The only way I can keep track of them is to read them in Google Reader. I find it easier to see what’s new and comment where I feel inspired to do so. Great titles and great photos are what draws me in the most. If those are good, I usually read the full post. If not, I skim right over. Extremely important! Without comments, there is no community. Without a community, we would have no business. Besides, how are you going to know what your customers/readers want if you’re not talking to them? In the early days I responded to each and every comment. Now with sometimes more than a hundred new comments a day on the blog, I can only respond to a few of them, but I do read every single comment. Readers and members now offer their help since it is now impossible for me to do it all on my own. It really has become their community. It’s our Polymer Clay Family. In what ways has your involvement in the blogosphere enhanced your life, if any? As I said above, we have become a family. A family that keeps growing everyday. Nothing warms my heart more than to know how much it means to my members to have a place to come and share their love for their craft. Many people who do polymer clay may be the only one in their family or group of friends that work with medium. Sometimes they are living in rural communities, have health issues or disabilities and have no way of connecting with others that understand their passion for polymer clay. Blogs make it easy to find others that ‘get us’ and we feel we are part of something bigger. Through our art, we get to know and care about each other. We are not alone. That has been the biggest eye opener for me. And the community is global too. Very cool! If you could only visit three blogs today, what would they be? I think it is good to see what’s happening in the craft world outside of polymer clay. Helps to keep my work fresh. Thank you Lisa for the interview. What an honor to be the last one that you will do for awhile. It was so fun having my Morning Coffee with you! Looking forward to all the new stuff you have up your sleeve. It has been a pleasure to read and comment on your posts for all these years. Here’s to many more exciting years of blogging! Cheers! Hey! How nice to read about my favorite Polymer Clay Tutor here! Lisa, you’re such a lovely artist, and have a beautiful blog…I’ve admired your work for quite some time! Thanks for interviewing Cindy–I think she’s amazing. She’s such a hard-working woman, and so creative…she shares so much knowledge at her blog and in her tutorials. She’s built a wonderful polymer clay community…who have all grown considerably under her tutelage. Cindy has kept the price really low…on her fantastic, high-quality video tutes…about 80 cents for one of her new videos! She also has a beginner’s “Basics Course” that I would recommend for those starting out in polymer clay. It’s also good for someone who’s begun already, but found they’re more of a visual learner–Cindy’s videos are the perfect thing. Thank you so much for your nice comments about my work and my site 🙂 I’m glad you enjoyed the interview. I’m sure Cindy will enjoy reading your comment, too! What a wonderful interview of a wonderful lady. Cindy doesn’t know the meaning of ‘not giving’ because all she does is give – and from the heart too! Living in a community where no-one I know does polymer clay it is wonderful to sit down and see what Cindy is up to every day. The community that has built up in the last year alone amazes me and it is very true that we all support each other in good and bad. I’m glad that I am part of The Polymer Clay Family over at Cindy’s. I’m not sure how I missed this before! Gotta love Cindy – she’s a fantastic ambassador, teacher, and cheerleader for polymer clay artists, hobbyists, and people who want to try the medium! 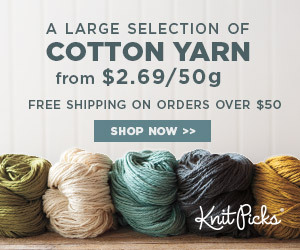 Lisa, I discovered your wonderful website a few days ago and got lost in the loom knitting information. Today I read Cindy Lietz’s blog and found myself here again, this time to read about Cindy in your Morning Coffee article! Cindy is every bit as fabulous as everyone says. Thanks for featuring her.